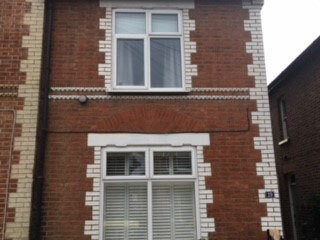 At A P Benson Roofing & Building, we have been delivering quality soffits and fascias, flat roof repairs, chimney repairs, and other roofing services to our Guildford clients for almost forty years. When you hire A P Benson Roofing & Building, you get one of the best roofing companies in the area. Whether a new installation or roof repairs, whether pitched or flat roofs, our team is there for you. 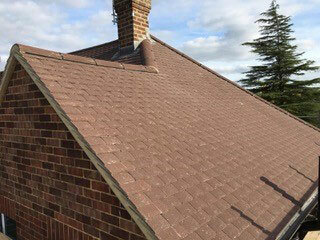 A large part of our work in and around Guildford involves roof repairs. From storm damage and missing slates, to loose flashing and leaking leads, our trained team of experts can fix it. Unlike some roofing companies, we are just as much at home dealing with flat roofs as we are pitched roofs, bringing 100 years of experience with the unique challenge of flat roofs to every job we take on. We handle all manner of chimney repairs, from storm damage to repointing brickwork, ensuring a clean, neat, and safe join to the rest of your roof. Soffits and fascias join the roof to the house. The fascia board runs the outside length of your roof, while the soffit forms the underside. Essential in maintaining the overall integrity of any non-flat roof, we are experts at installing and repairing both soffits and fascias. 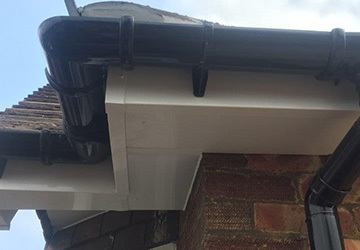 As well as pitched and flat roof repairs, soffits and fascias, and chimney repairs, we also install new roofs, replace or repair guttering, remove moss, replace and fit Velux Roof windows, deal with lead work and lead flashing, house and chimney re-pointing plus building work including installing patios, building and repairing brick walls. Based in Guildford, our team of roofers operate in a 25 mile radius around our main office. This includes our valued customers in Woking, Chobham, Godalming, Farnham and, of course, Guildford itself. 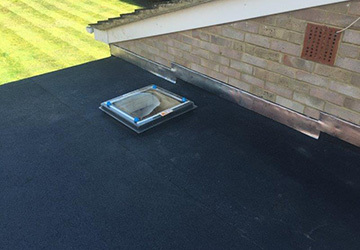 A P Benson Roofing & Building has been trading continuously since 1980, providing our Guildford customers with high quality roof repairs that other roofing companies cannot hope to match. Between them, our team of highly-trained roofers have over a hundred years of experience in the business, expertise that they bring to every job. 01483 760 444 for a free, no-obligation quote.